As the owner of Huff’s Grocery in the tiny Burwood community on Carters Creek Pike, Ken Huff sees customers come from all over Williamson County and beyond. He’s about to see them come from even farther. He’s about to see them come from even farther. As the owner of Huff’s Grocery in the tiny Burwood community on Carters Creek Pike, Ken Huff sees customers come from all over Williamson County and beyond. 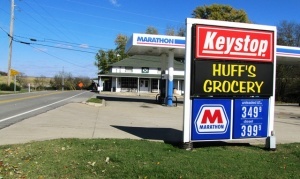 When the final 12 miles of the 78-mile southern loop of State Route 840 open to traffic on Friday, many travelers may take Exit 23 and pull in for gas, snacks or even lunch at the store Huff’s family has owned since 1937. It’s located within throwing distance of the new state highway. An increase in Huff’s bologna sandwiches may not be the apex of economic development in Williamson County, but it is certainly a representation of the impact that SR 840 is going to have on the region. Officials believe that this Friday’s ribbon cutting on the route’s final leg will go beyond the relief of traffic congestion in Nashville. With the impetus of 840 dating back to 1986 during Gov. Lamar Alexander’s administration, the first section of the route opened in Wilson County in 1995. Additional sections opened in ensuing years, with the most recent – from Highway 431 to Highway 31 – completed a couple of years ago. Start on the section from Highway 31 at Thompson’s Station to Pinewood Road near Leipers Fork was stalled for some time while agreements could be reached regarding the roadway’s environmental impact. This newest section, in fact, has been declared a scenic highway by the Tennessee state legislature, “meaning no billboards and things like that,” Schroer said. 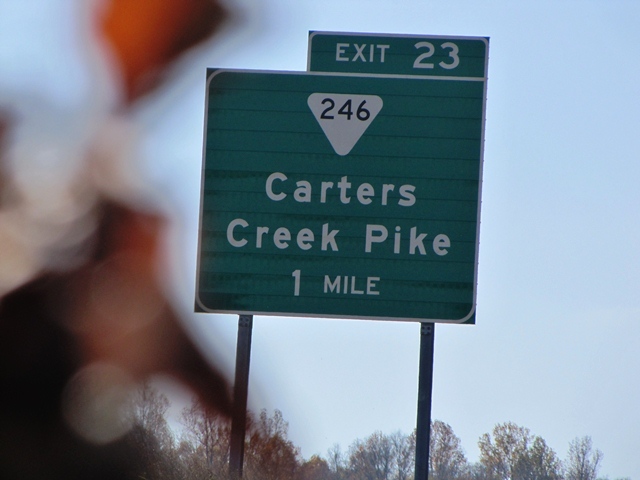 The lunch crowd at Huff’s Grocery could certainly be a bit on the heavy side this Friday as the grand opening of SR 840’s final stretch takes place near the Carters Creek Pike interchange. All are invited to the event, which begins with an official ceremony at 11 a.m. followed by a ribbon cutting and lunch. Attendees will be able to “Enjoy the Ride” on the new section of SR 840 once the festivities are complete. It will officially open to motorists later in the afternoon. In addition to Schroer and Tennessee Gov. Bill Haslam, in attendance will be U.S. Sen. Lamar Alexander and former governors Don Sundquist and Winfield Dunn. For the rest of Williamson County, development basically depends on the individual communities. “Now that 840’s in place on the western side, you certainly have more potential for economic development,” said Matt Largen, director of Williamson County Economic Development. “I think it lays the foundation. “But it’s really up to the communities along 840 to figure out how they’re going to manage development. We know this is the fastest-growing county in the last 10 years in Tennessee, and there’s no reason to think that we’re not going to continue to grow. So I think communities have to get ahead of that growth and plan for that, or else I think they risk the situation that growth happens without any set plan for what they want to see. Exit 7 at Highway 100 in Fairview appears to be a prime location for development, and city officials there said they have had several inquiries over the last few weeks. But to Largen’s recommendation, they are also planning ahead. They’re meeting not only internally, but also conversing with officials at neighboring Hickman and Dickson counties. 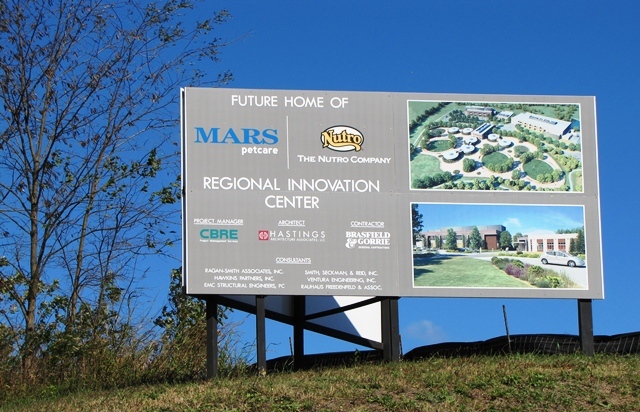 Ground is already breaking at the Highway 31 interchange in Thompson’s Station, particularly on the MARS Petcare Innovation Center on the south side of 840 and Shelter Insurance at Tollgate Village to the north. Thompson’s Station was ready, said its town administrator. “It’s kind of hard to overstate,” Greg Langeliers said, “because without 840 we wouldn’t have installed a sewer system, and without a sewer system Bridgemore (Village) or Canterbury wouldn’t be there. Neither would Tollgate, or Shelter or MARS. So all those things are a result of 840.